The most commonly used edition of the Provinciale is the Oxford edition of 1679, which we also have in our rare book collection. From J.H. Baker, Monuments of Endlesse Labours: English Canonists and Their Work 1300-1900 (London: Hambledon Press, 1998), pp. 51-55. The Law Library’s edition was much in need of restoration and repair. 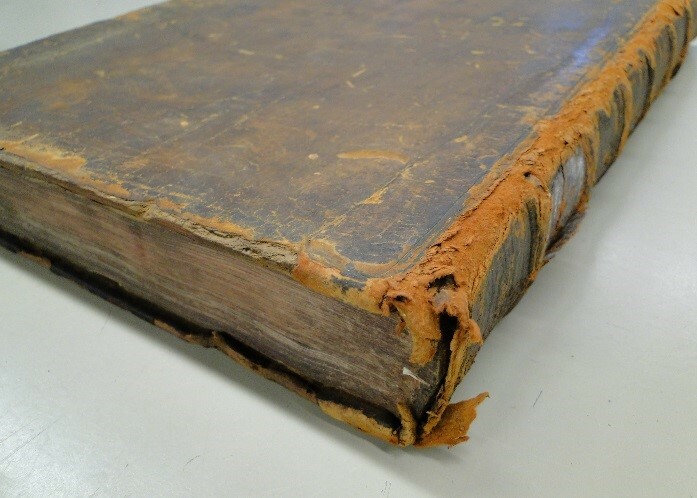 The covering leather was completely abraded at the corners, and the book-board was also significantly abraded. There were many scuffs, breaks in the grain layer, and discolorations. The first three leaves of the text, including the marbled paper fly-leaf, were detached from the text-block. There were major breaks in the sewing. 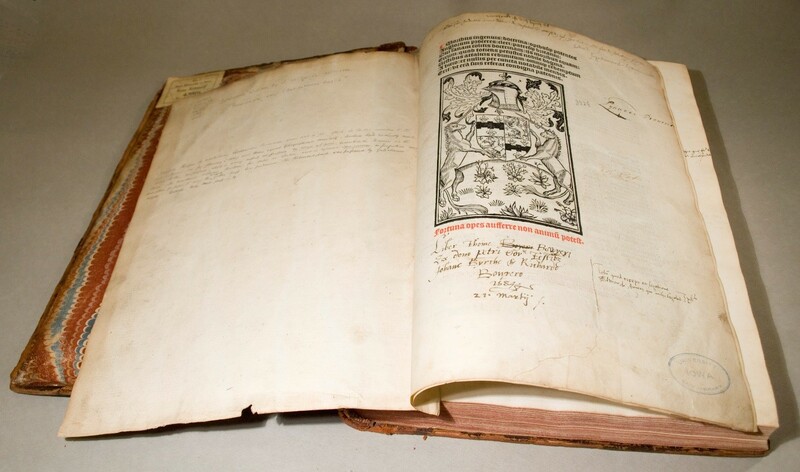 The binder created a new binding in a style appropriate to France around 1505. The marbled papers that were not part of the original binding were removed, and the new endpapers were antiqued to bring them into greater harmony with the entire object. Because the previous headband at the tail (the only one there) was no longer structurally relevant and not original, it was removed. As a replacement, integral headbands which were sewn with linen thread were added and their cores laced into the new boards. 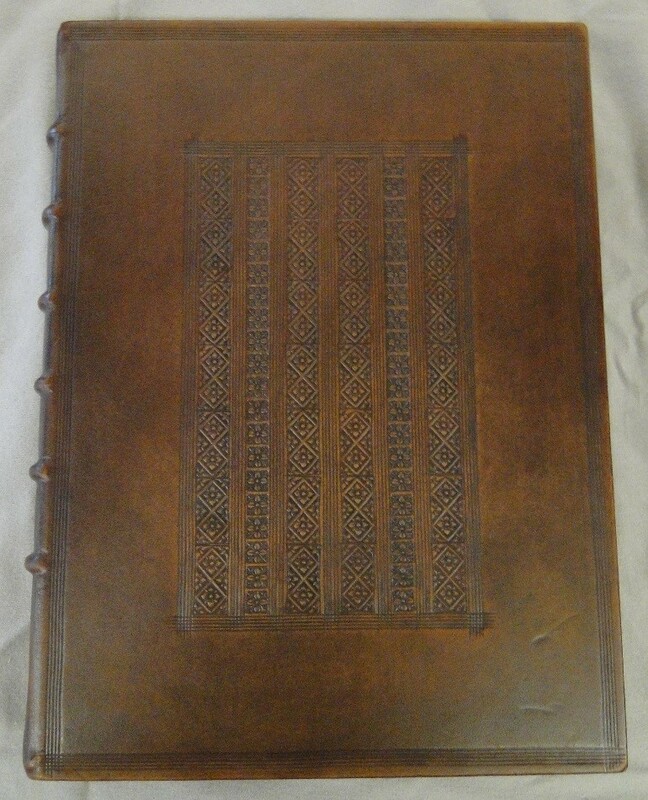 In the manner of early 1500s French bindings, there is a panel design where the central panel is divided into a number of thin vertical strips within which are tools impressed running the length of it. 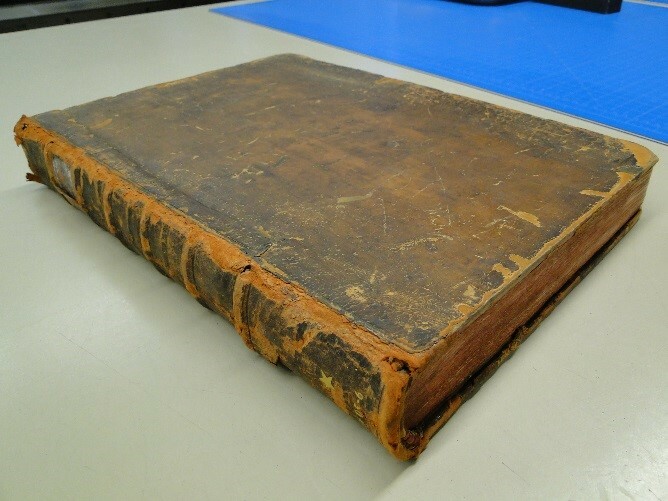 This was a period of transition—either wooden boards or book-board would be appropriate—but we chose wooden-boards due to their weight and feel and the importance of this book. 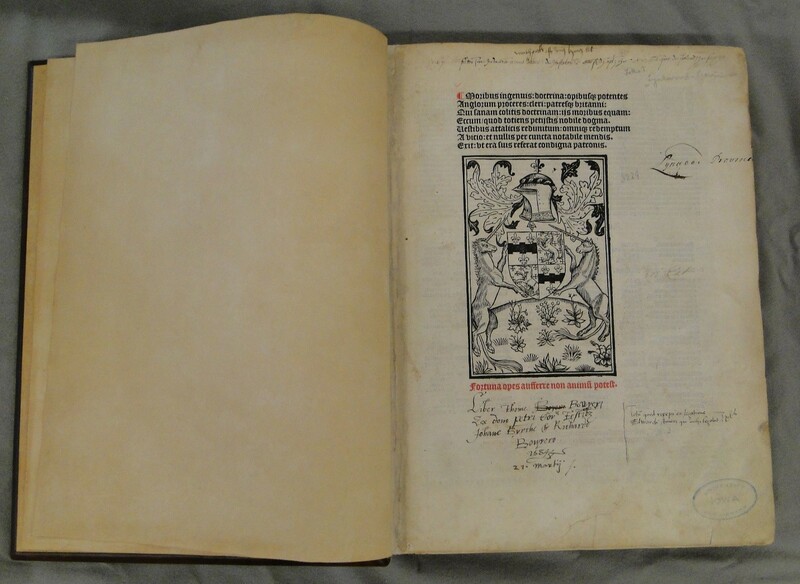 The broken text block was repaired and resewn so the pages are properly supported. 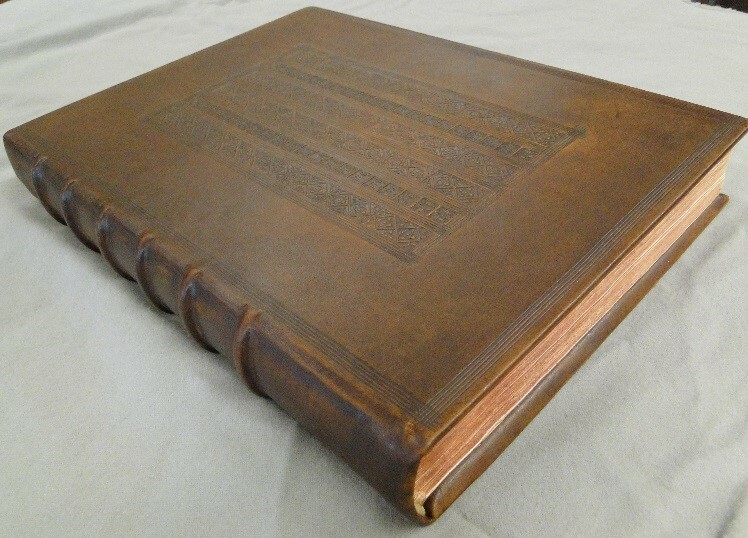 A custom box, lined with ultrasuede to protect the leather from abrasion, now houses the book.